I can't recall if I've seen a salad called "Mediterranean Pasta Salad" on the menu when I eat at neighborhood restaurants in Barcelona, nor a salad that includes cooked pasta. Not matter what it is called, with or without pasta, the base (high quality olive oil and seasonal fresh vegetables) makes an excellent sense for pursuing good eating habit, and is easy enough for us to it at home all the time. This time my salad incorporates some tiny pasta... the locals normally prefer putting it into soup though... because it can turn to be a meal itself. 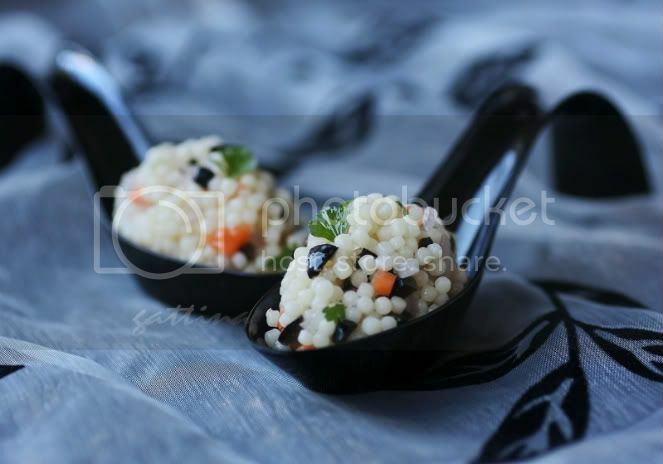 This tiny pasta is called Maravilla, which is just slightly bigger than couscous. For vegetables, I'd suggest to use raw, chop them to as small as the pasta, the texture is truly fantastic! Simply combine the above ingredients together, best to consume in the same day. G, the pasta is so cute. It is like pearl yet squarish. Nice pix! 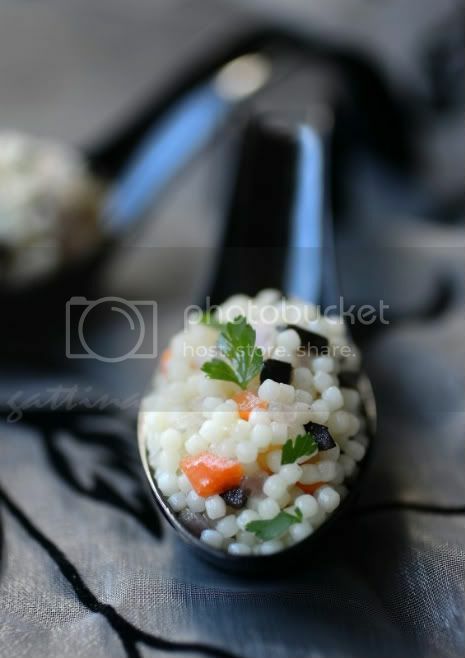 The pasta salad looks so beautiful in those little spoon. I just love your blog with all the amazing recipes and awesome clicks.